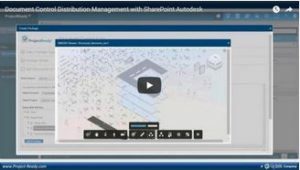 Check out our webcast demonstration to learn how in 3 simple steps, you can connect to other systems and bring together project details, automate the creation of the platforms where your team needs to create, work and collaborate on content based on their needs – SharePoint, Autodesk BIM 360, Microsoft Teams and Box, and Build Your Team. 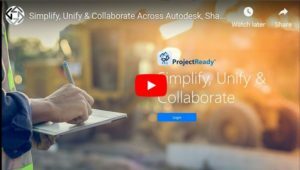 Join award winning business solution provider Gig Werks for a complimentary webcast on the NEW release of ProjectReady. 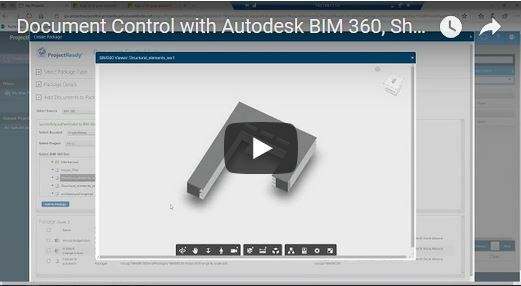 See the brand-new User Experience, Interface and Features now available with the product & learn how you can unify all your project content (Autodesk BIM 360, SharePoint, Box, Email) & project information (Deltek Vision, Microsoft Dynamics, Salesforce) to simplify the management of all aspects of your projects. Join Award Winning business solution provider Gig Werks for a complimentary webcast on the enormous value and ROI of Intelligent Process Automate in the Government industry. We will showcase how modern automation tools like Nintex drive significant efficiency gains, reduce errors, give valuable insight, lower costs and bring all your information & systems together easily (SharePoint, Office 365, Salesforce, Google, Dropbox & More!). 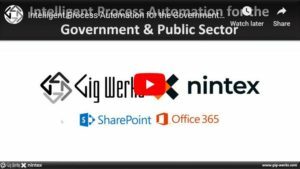 Join award winning SharePoint solution provider, Gig Werks, to learn how you can deliver intelligent process automation across your enterprise and drive greater value to your existing IP and investments in platforms like SharePoint, Salesforce, Box and others. 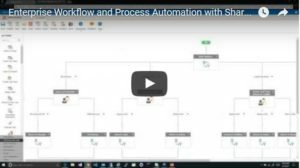 Please Join Award Winning SharePoint & Office 365 business solution provider Gig Werks as we showcase how to modernize the enterprise through intelligent process automation in SharePoint with Nintex. 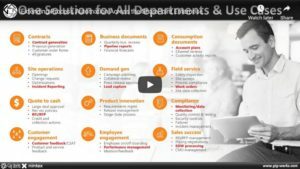 During the webcast we will discuss how you can modernize these legacy systems & business processes into scalable, repeatable, flexible & cloud ready solutions with an easy to use interface & user experience to drive process automation. 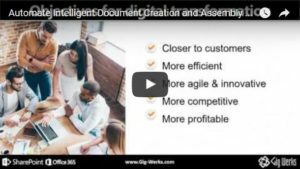 Join award winning business solution provider Gig Werks for a complimentary webcast on how to deliver document control, management and distribution with SharePoint and the Autodesk Cloud. 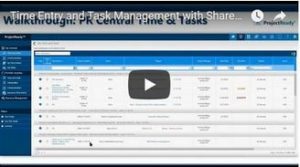 ​Join award winning business solution provider Gig Werks for a complimentary webcast to see how you can bring Time Entry & Task Management together inside SharePoint with ProjectReady. 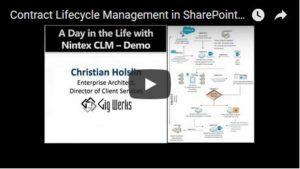 ​Join award winning SharePoint and Office 365 Solution Providers Gig Werks & Nintex to learn how you can maximize the value of your investment in SharePoint & Office 365 to deliver Contract Lifecycle Management (CLM) in the cloud. Gig Werks CLM solutions offer unprecedented value and scalability across the enterprise. 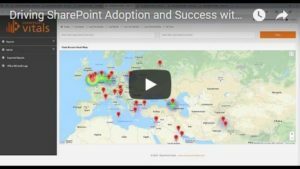 ​Join award winning SharePoint and Office 365 Solution Provider Gig Werks to learn how you can drive the adoption and success of SharePoint & Office 365 with actionable analytics from SharePoint Vitals. ​Join award winning SharePoint Solution Expert Gig Werks for a complimentary webcast to see how you can unlock project email and take action with Microsoft Outlook and SharePoint. 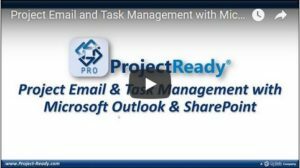 During this webcast, see a live demonstration and learn how you can easily manage Project Email, Create Tasks, and Control Documents directly inside of Microsoft Outlook. 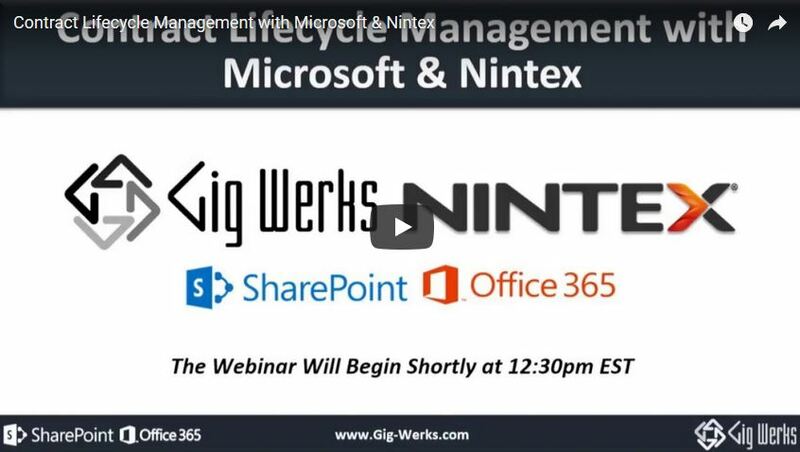 ​Join award winning SharePoint Business Solution Providers Gig Werks & Nintex for a webcast showcasing how to deliver Contract Lifecycle Management in SharePoint & Office 365. 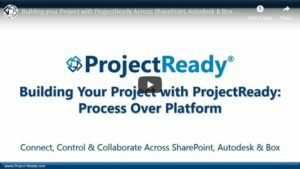 ​Join award winning business solution provider Gig Werks for a complimentary webcast to see how you can achieve enterprise project & program management and drive significant ROI in SharePoint with ProjectReady Central. 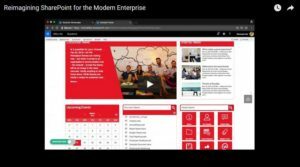 ​Join award winning SharePoint business solution provider Gig Werks for a complimentary webcast to see the BRAND-NEW solution for Project Management and Document Control with SharePoint. 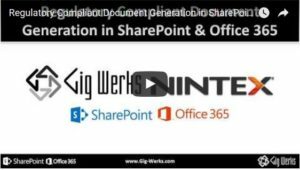 ​Join award winning SharePoint & Office 365 Solution provider Gig Werks for a complimentary webcast on how you can easily automate the generation of Regulatory Compliant Documents in SharePoint & Office 365. 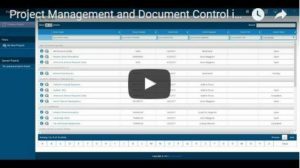 The webcast will showcase how you can generate documents while ensuring accurate information, compliance, governance, and seamless integration with SharePoint and existing line of business systems. 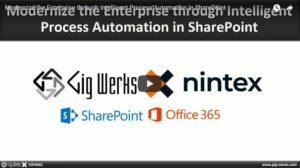 ​Join award winning SharePoint Business Solution Providers Gig Werks & Nintex for a complimentary webcast to learn about Enterprise Workflow and Process Automation for SharePoint and Office 365 with Nintex. 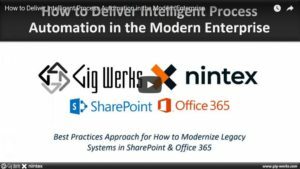 ​Join award winning SharePoint Business Solution Providers Gig Werks & Nintex for a complimentary webcast as we showcase how to Easily Automate Intelligent Document Creation & Assembly in SharePoint & Office 365; driving significant ROI and reduction in cost. 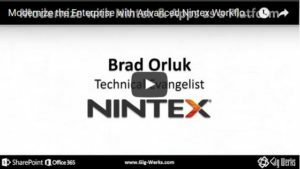 Join Award Winning SharePoint and Office 365 business solution provider Gig Werks as we showcase how to transform your legacy systems and customizations with advance workflows and forms with SharePoint and Nintex. This ensures scalability, repeatability, flexibility and readiness for the cloud and hybrid setups with an easy to use interface to drive process automation. ​Join award winning SharePoint Solution Providers Gig Werks as we showcase how to transform your legacy systems and customizations by creating modern SharePoint applications with the SharePoint Application Model; ensuring scalability, repeatability, flexibility and readiness for the cloud & hybrid setups. 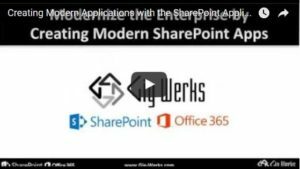 Join award winning Legal Industry and SharePoint Solution Expert Gig Werks for a complimentary webcast on Making SharePoint & Office 365 work for Legal Industries & Departments. 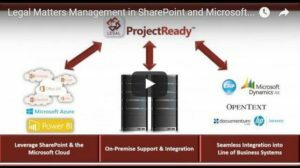 During this webcast we will discuss new key features pertinent to Legal Firms available in SharePoint and Office 365 as well as showcase the New ProjectReady Cloud Applications for Legal Matters Management, Document Control and Email Management. 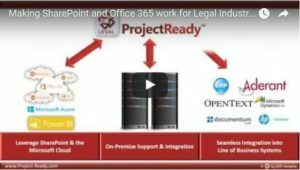 Join award winning Legal Industry and SharePoint Solution expert Gig Werks for a complimentary webcast demonstrating how to deliver Legal Matter Management with ProjectReady for SharePoint (online or on-premise) and Office 365. 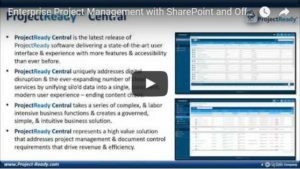 ProjectReady drives significant ROI & is the most cost effective Matter Management software on the market. Microsoft Office 365 represents the most widely used and cost effective cloud solution available today with many organizations now ready to make the move. 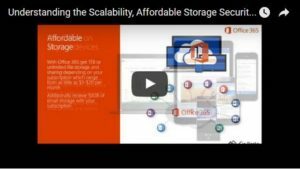 Join award winning Office 365 and SharePoint business solution provider Gig Werks as we discuss why Microsoft Office 365 is ready for the enterprise and the advantages of leveraging the Scalability, Affordable Storage & Security Features available. 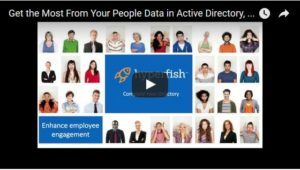 Join Award Winning Office 365 & SharePoint business solution provider Gig Werks to learn how you can easily complete your company directory and get the most out of your people data with Hyperfish.